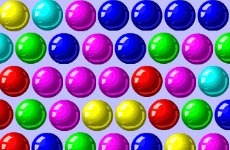 Here is an online puzzle game with many levels. The game is one of the most well designed games available on the web. The challenge in the game is to use the mouse clicks and movements to grab all the blue capsules while while avoiding all the red ones. The game is extremely difficult and requires exceptional skills.